HR Licence allows you to drive Heavy Rigid - more than 8 tonne Gross Vehicle Mass (no axle limit) +/- trailer (max 9 tonne Gross Vehicle Mass). All HR assessments are conducted with our approved assessors onsite. 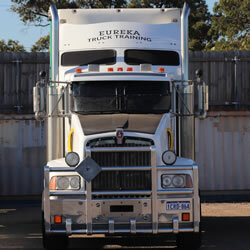 HC Licence allows you to drive a motor vehicle that is attached to a semi-trailer; or a trailer that has a gross vehicle mass exceeding 9 tonne. All HC assessments are conducted by our approved assessors onsite. 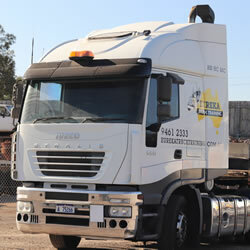 MC Licence allows you to drive a motor vehicle towing two or more heavy trailers. 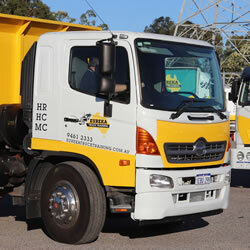 All MC Assessments are conducted with our approved assessors on site at Midvale.